GINX Esports TV has today announced that it has terminated its contract with Virgin Media TV and, as such, will no longer be on the platform from 22nd October 2018 onwards. The decision was taken following an internal review which concluded that the operator did not adhere to the spirit of the initial channel carriage contract which foresaw a launch of the channel in High-Definition. 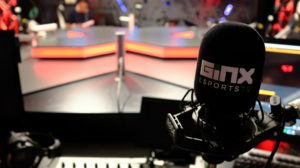 GINX Esports TV launched on Virgin Media in July 2013. The leading esports TV channel is available in 50+ million homes, across more than 50 territories in 10 languages. GINX Esports TV remains available in the UK on Sky (channel 433), TV Player and via its own player on ginx.tv.